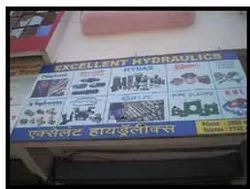 Established in the year 2004, we, “Excellent Hydraulics”, are a renowned organization engaged in supplying, trading and exporting a premium quality range of Hydraulic Valves, Pumps, Hoses, Connectors and Filters. Further, our range of products is widely appreciated for their longer service life and excellent performance. 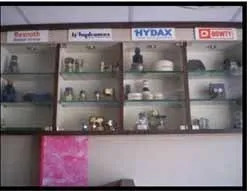 We have a state-of-the-art infrastructure, sprawling across vast area of land, well furnished with the latest technology and other necessary amenities, which enable us to manufacture and deliver a flawless range of products to the clients end. Furthermore, the entire unit is divided properly into various departments, which helps us in carrying out the production process in a swift manner, accelerating the entire process at the same time. 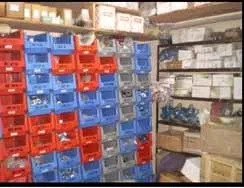 In addition to this, these departments are handled and controlled by a team of highly qualified and diligent professionals, who hold a vast industrial experience and in-depth knowledge about their respective domains and are instrumental in offering an absolutely defect-free range of products to our esteemed patrons. we are export in Saudi Arabia, UAE. Under the able guidance of our mentor, 'Mr. Aliasgar Vadnagarwala', we have been able to carve a niche in this highly competitive industry. Owing to his brilliant managerial skills, vast industrial experience and in-depth knowledge about this domain, we have been able to serve our clients with a flawless range of products. He has truly been a source of inspiration to all those who are associated with our organization. We are supported by a sound infrastructure at our end that is equipped with all the modern and sophisticated technologies that enables us to fulfill the urgent requirements and demands of the clients in a systematic manner. Moreover, this setup helps our team of skilled and adroit professionals to maintain a swift and smooth rate of production that further adds to our quality of production. Along with this, our team mates aim at maintaining pace as per current technological advancements of the industry to achieve the prior position in this market. 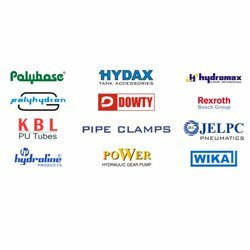 Backed by a team of highly qualified and competent professionals, we have been able to serve our clients with an excellent range of Hydraulic Valves, Pumps, Hoses, Connectors and Filters. These professionals are well versed with the market trends and demands of the customers, and are instrumental in offering an exclusive range of products to our esteemed clients. Our experts make sure to work in close coordination with each other, in order to achieve the organizational goals in a timely manner. Furthermore, being a part of the client-centric organization, we make sure to examine the quality of the entire range before delivering these products to the clients end, in order to serve them in the most efficient manner and stand proficiently by their expectations.